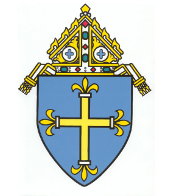 St. Cecilia's Catholic Church in Nashwauk, MN and Mary Immaculate Catholic Church in Coleraine are looking to hire a full-time Director of Religious Education and Youth Ministry. The person must have a love for the Catholic faith and desire to pass on that faith to the youth. The position is salaried with flexible hours - some weekend and evening. Some travel will be expected. This director will be coordinating the religious education program for both of our parishes, grades K-11, as well as continuing to grow our youth ministry program. Please visit www.scmicatholic.org for a full job description and an application for the position or contact [email protected] for more information. St. James/St. Elizabeth parishes in Duluth, MN are searching for a part-time music director. The candidate should have a music background with vocal, instrumental and choir directing. Please email resume to [email protected] or contact St. James Parish at 218-624-0125.